It’s time for a fresh start in the New Year! Session 3 has begun, and there’s still time to take advantage of resources available to students through the Walker Center for Academic Excellence. We’re offering on-campus workshops about time management, strategies for classroom success, budgeting for financial stability, and much more this session. If you can't make it to campus, we're offering two online workshops as well. These are designed to help you develop good study habits and better understand how to achieve work-life balance. 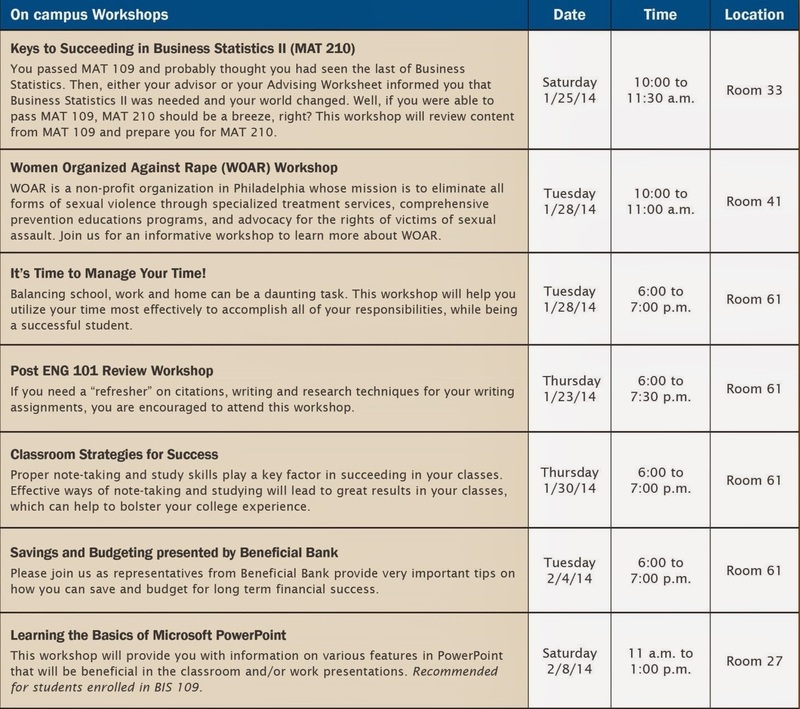 To register for any of the workshops listed below, contact the Walker Center at 888.467.3472, ext. 9251, or email wcae@peirce.edu.